If you’ve never heard of Solway, MN, you are probably not alone. It’s not a big place; the population is just shy of 100. 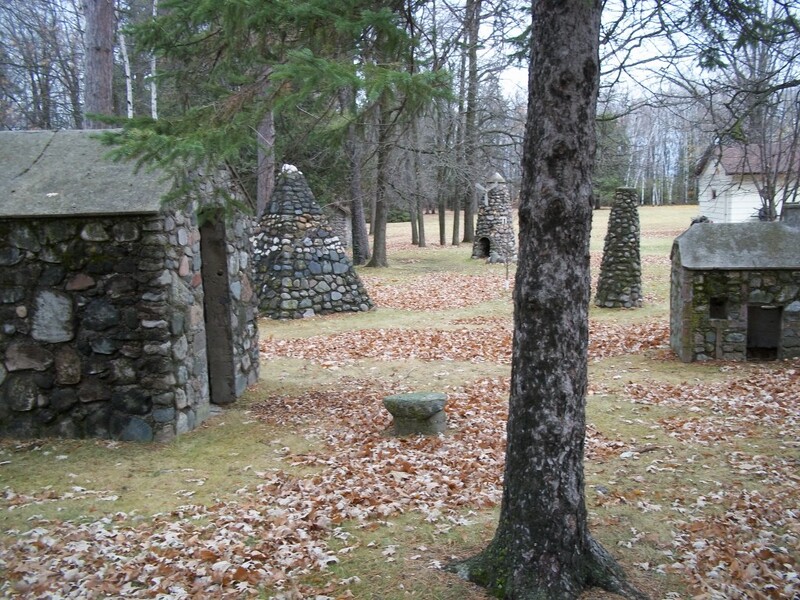 It’s more or less a small settlement located just west of Bemidji on Highway 2. There are a few random businesses like an auto garage and a bar, a few blocks of ordinary-looking houses, and that’s pretty much it. 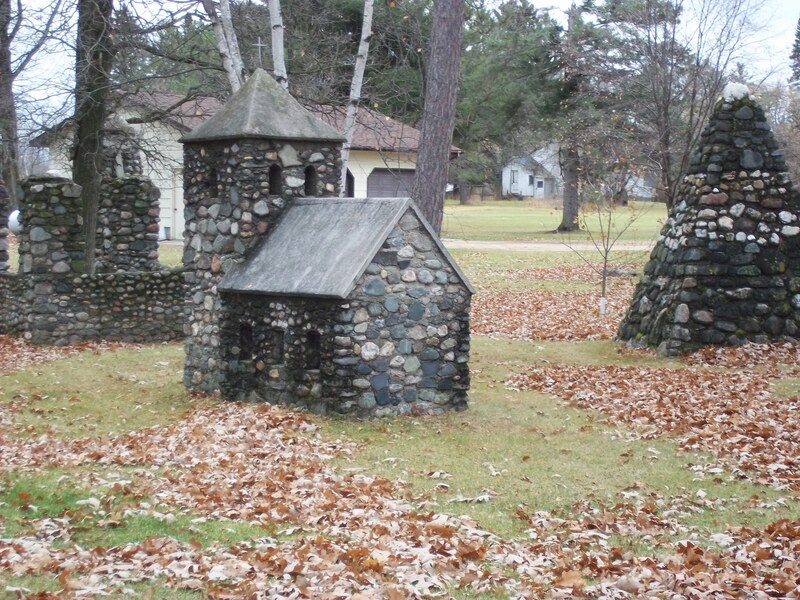 But, like many quiet little towns in Minnesota, there is a curious secret hidden within. 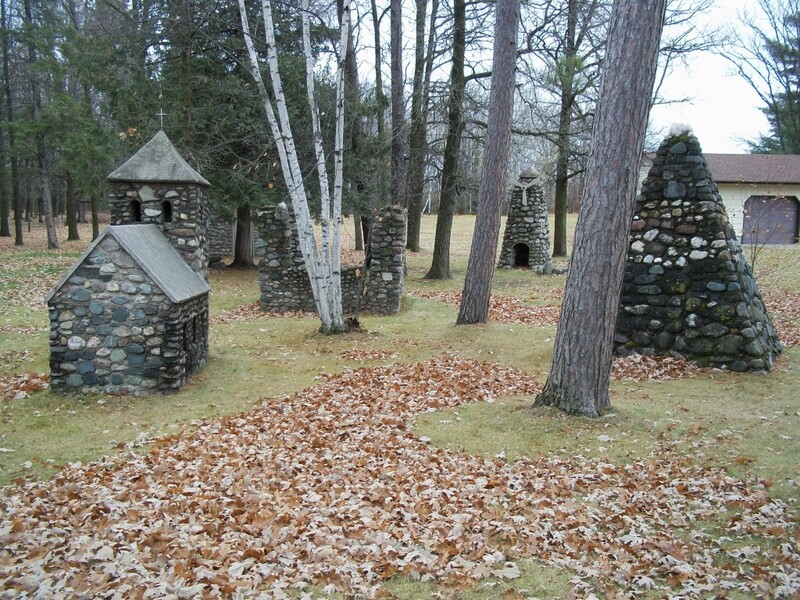 Solway’s is a miniature village of stone structures that a local resident created right in his yard. 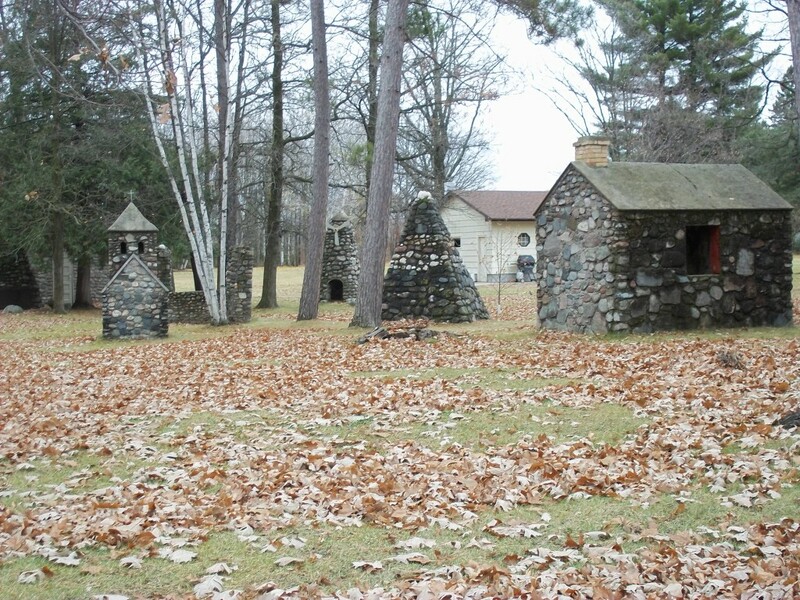 The village consists of maybe a half-dozen or so structures, ranging from a church, a schoolhouse, a fireplace, a windmill, to a pyramid. The buildings are crafted beautifully, set adjacent to the owner’s home in their own little village. They were created by a guy named Martin Sorenson. They are around 4 feet tall and were built as a replica of the structures in the village in Denmark where Sorenson’s parents came from. 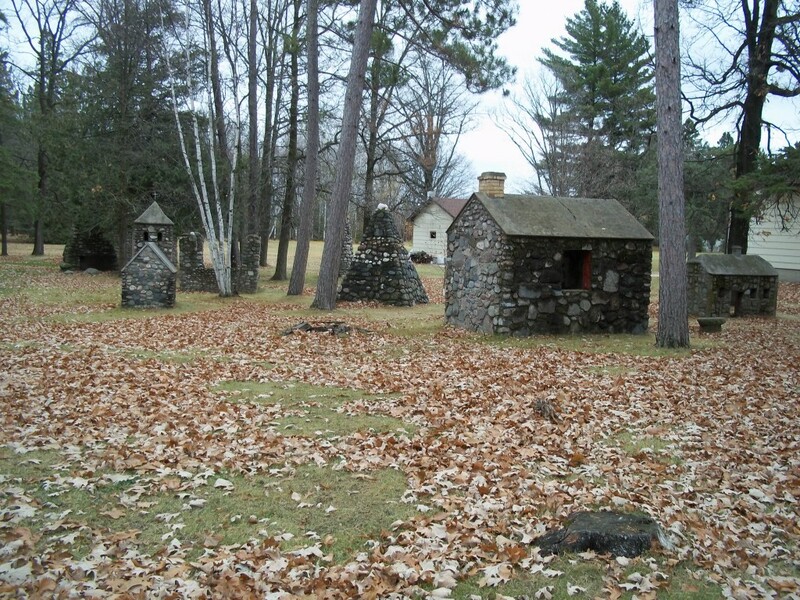 The stone village is not marked whatsoever by any signs, it is not fenced in, it is not explained or detailed, and there is no charge to see it. It’s not out in plain sight, but if you drive through the town long enough you will inevitably find it. It won’t take you too long. Although it’s technically on private property, you won’t see any “No Trespassing” signs here. It’s clear that the owner wants the outside world to see his creation, and you can walk right up to it and have a look around, maybe grab some photos. Unfortunately I don’t have much info on when the Solway Miniature Village was built but my guess would be maybe 3-4 decades ago. There isn’t much info available online or in books about it and no one was around at the time of my visit. But it’s still in remarkable shape and is worth a stop by on your way through, wherever you may be going. 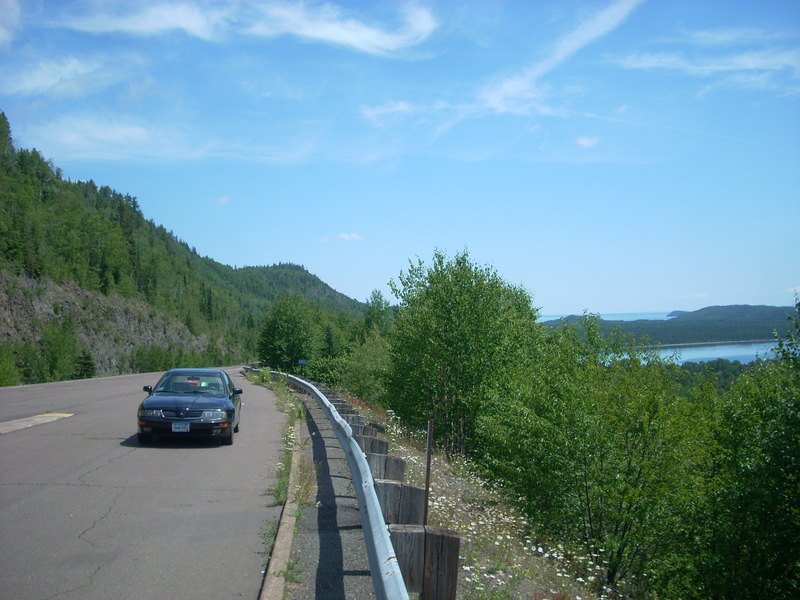 While in the area: Solway is just down the road from Bemidji where you can check out the iconic Paul Bunyan & Babe the Blue Ox, the Concordia Language Villages, or the Fireplace of States at the Visitor Center. Or, head north a little ways and check out the big eagle outside of the newly-built casino near Red Lake, MN.